Melbourne's First 24/7 Distribution Unit Now Open! Firex aim to provide you with an easy, convenient and consistent level of service and supply of products. Taking convenience to the next level, Firex are proud to announce our third Self Service Distribution Unit (SSDU) and our first in Melbourne, located centrally in Port Melbourne to support our Melbourne based customers. 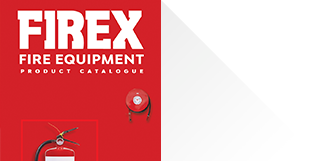 Firex have partnered with Kennards Self Storage to bring you a conveniently located warehouse where you can collect your fire protection equipment day and night. The Port Melbourne SSDU will be stocked with main product lines and available to Account Customers. For further information, click on the below link or call FIREX on 1300 246 247. © 2016 Firex. All Rights Reserved.